---Folds up for easy storage, Ready to use, no assembly required. ---Opens instantly with the touch of a single red button. ---Great for use at campgrounds, picnics, while traveling, shopping or work! 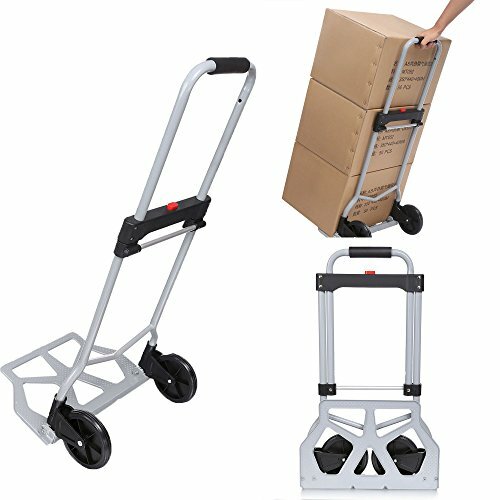 Easily haul boxes, luggage, groceries and much more! 1. As Different Computers Display Colors Differently, the Color of the Actual Item May Vary Slightly from the Above Images. We Guarantee the Style is the Same as Shown in the Pictures. Thanks. 2. If you have any questions, please let us know. We will solve any problem for you as quickly as possible. Your Satisfaction is Our Main Priority.